Home › Electrical Engineering Forum › General Discussion › How to produce electrical energy with olive waste? Steven Mill 3 years, 12 months ago. Hi it’s Steven Mill, check my essay on the use of olive oil to produce electrical energy. This is a recent news and I wanted to share with you. Cheers! According to a recent study conducted by Sweden’s KTH Royal Institute of Technology, olive waste can be used to generate usable electricity. According to the researchers, mash produced from the olives during olive oil production, can be effectively used to power batteries, which in turn can be converted into electricity. The study has become very popular that it caught the fancy of none other than American President, Mr Barack Obama, who was given a special presentation on ‘Producing Electrical Energy with Olive Waste,’ on his recent trip to Sweden at KTH Royal Institute of Technology. The project reached its final stages at the end of year 2014, and today a proto-type conversion system is fully functional at an olive oil production company owned and operated co-operative of San Isidro de Loja, Granada. The energy produced by this proto-type unit is capable of generating the energy required for the entire plant. 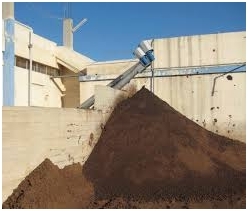 Producing electrical energy with olive waste is achieved in three phases. 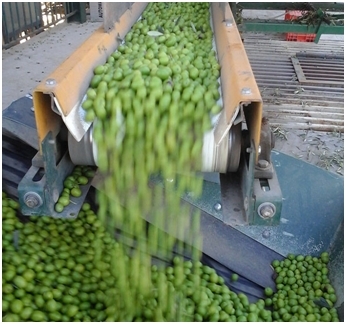 In the first phase, the olive mash is introduced into a digester tank where it is further broke down into bio-gas. The bio-gas thus released consists of methane, CO2 (carbon dioxide) as well as traces of some sulfur compounds. In the second phase, these gases are allowed to enter into a reformer unit capable of converting these mixed gases into CO2 and hydrogen respectively, which are then induced into fuel cells. In the third and last phase, the fuel cells are exposed to oxygen, which reacts with CO2 and hydrogen to generate heat and electricity. The end result is reduced toxins in olive waste, which can then be safely moved to landfills and production of electrical energy, which can be used to run the very plant that is producing it. The proto-type system in San Isidro de Loja, is currently generating around 1KW power, which is being successfully used to run the plant. The co-operative of San Isidro de Loja and its project partners are now planning to invest in a large scale olive power plant in the premises of the oil processing unit, which will be capable of generating 200KW by the end of 2015. This new step towards producing electrical energy from bio-gas has been one the greatest achievements this year. Let’s hope that many such worthwhile inventions take place in the near future, assuring us as well as the generations to come, a cleaner and greener planet. Amazing. I love it and the creation. Thumbs up, this can be very successful in the future.